Many corporate tax systems lack structure. 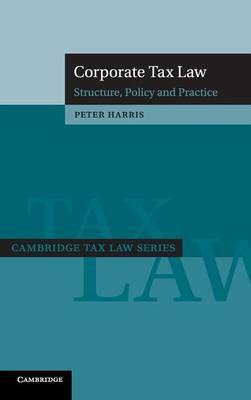 Focusing on structural defects and how they are addressed in practice, this comprehensive and comparative analysis of corporate tax systems uses a conceptual framework to illustrate and analyse the many difficult issues corporations pose. This framework is enhanced by the examination of a large body of legal rules and practical considerations which demonstrate how corporate tax systems work in practice. While adopting a broad comparative approach, the analysis also drills down into the detail of influential corporate tax systems in order to illustrate the major issues they face and the options available to them.